Newbies often get excited witnessing shiny objects in their blogs. Like when the statcounter shows that someone visited their blog from a far-off country or a user commented on an article from the other hemisphere, we think we’ve become internationally acclaimed. But that is not so. If you really want your blog to boom for traffic you should put effort on creating a real content, but of course besides that you need some strategies, tips, techniques, etc. I am afraid, you need to do a lot of stuff to increase your blog traffic in a hyper way, which includes reading, providing rational comment, connecting, sharing and building relations. In other words, you need social media engagement and blog commenting like activities to drive traffic. Once people start liking your articles traffic will be poured in. Let us discuss it in lieu of the following killer blogging tips, which will not only enhance your blog traffic but will boom the same. The first and foremost indication of social media lies in making a comment on some other’s blogs. Yes, Blogging is social media but if you don’t leave a comment, nobody knows you were right there? In fact you can make the blogger feel your presence in his blog only when you leave a comment there. Interestingly, providing a comment is not rocket science, even a newbie can handle it well to put a definite impression on the mind of the blogger on lieu of his balanced and catching comment. It is true that a well thought out comment can go a long way. Even influential bloggers take note, if the comment is discerning enough. In fact, comment is actually a great strategy to drive traffic to a blog. After reading out a blog post, normally readers have an anxiety about what other people feel about it. Accordingly, they go through the comments. Thus, if you’ll be the first person to make comment on a post, your comment will be read just after the article, as People normally read only the first few comments and then skip the rest. In this way your comment can grab attention of the reader. In this nexus it is advisable that you should set up the RSS notification so that you can know each time someone publishes a new post. Yet, keep in mind another point here, just can’t leave links in comments unless it goes well with the blog owner. You should definitely participate in the comments on your own blog. Reply to each comment and provide if anything they want from you. It keeps the real blog readers coming back as they get convinced that there’s a real person behind the blog (not a robot). Secondly, this will offer them with a community feel, letting them know that they are welcome to participate. Be sincere to read and understand the post before leaving a comment on it. In other words, your comment should be aptly relevant to the facts provided in the post. While a relevant comment can earn you a lot, an irrelevant comment would earn you bad reputation, which would affect on the number of visitors to your blog. Of course, it is true that Social media is the biggest traffic generator. There are a number of sites where you can post the link of your article to guide the users to your blog. So, it is a must that you should attach share buttons in your blog posts so that if any visitor likes your posts, he or she can easily share that information. Do some guest post in other people’s blog. That will not only get their attention but also of their readers. In this nexus, you need to ask them for guest posts and they may want you to write a post at par with their requirement. But this is worth enough to get traffic to your blog since their readers will be dragged to your blog if they find something interesting in your post there. It is said, “Connections with people are what really rules the world – online and offline.” If this notion is to be believed link building becomes the key to make it out there. 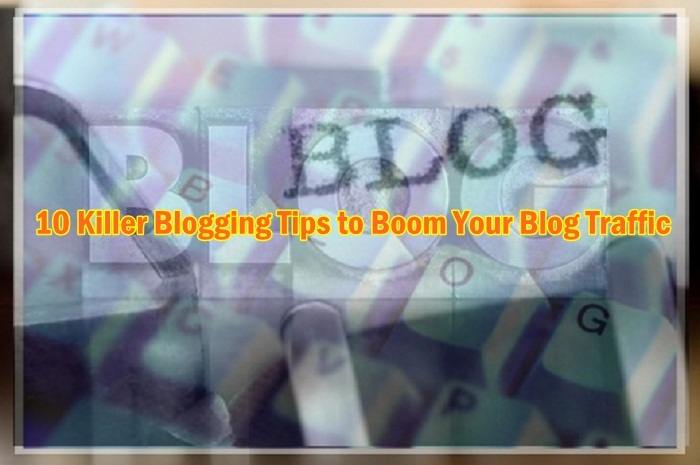 Keeping relation with other bloggers as well as the specific readers of your blog will provide you huge traffic. Everybody knows ‘Content is not the King! Since, there is nothing good in the best content in the world if you can’t get people to read and engage with it? But still content is the deciding factor in your blog which either will pull the readers or send them back. Thus, create an amazing piece of viral content to post in your blog. Quality contents always matters. It is true that first impression counts a lot. Thus your title should be catchy and it should create some passion in the mind of those, who for the first time come across with your blog. More clearly, sometimes we visit a blog and we get pop-ups and advertisements everywhere, which actually send an impression that this may be spam. Last but not least, finding target audience is one of the most important essentials of a blog to bring traffic. As a blogger, you don’t need to go on searching for readers of all types, but you need only those, who are interested to go through the posts of your choice. This entry was posted in Blogging and tagged Boom, Tips, Traffic on March 28, 2013 by admin. perfect suggestions. I applied the tricks and observing that traffic to my blog is gradually increasing, but of course in a slow pace. Thanks for the nice post.